Muhammadu Buhari, winner of the 2019 presidential election. President Muhammadu Buhari will take the oath of office for a second term in office on May 29 and he will become the second persons that will be ruling Nigeria as a military man and as a civilian for a second term. 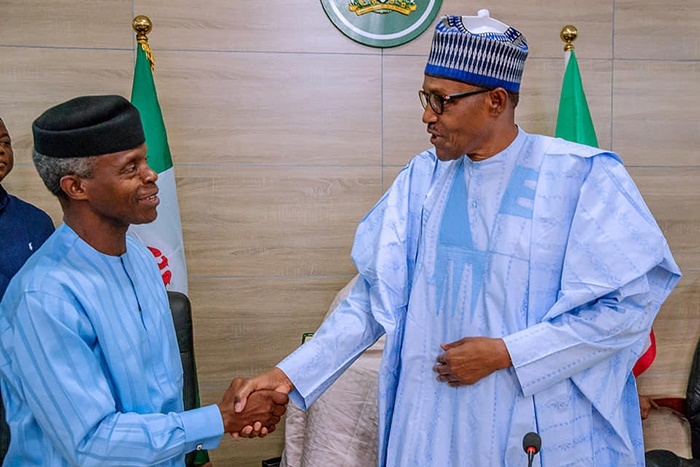 Months to the taking of oath of office for a second term, President Muhammadu Buhari has given his Vice, Professor Yemi Osinbajo, another job to do. He is a man with many feathers. Nigerians have looked at the promises he made prior to the 2015 general elections and have put forward diverse score cards for the administration that is near the end of its first four-year term. To be sure of what he had achieved and what was left undone, President Buhari approved the establishment of a Committee that would be chaired by the Vice President, to assess the level of implementation of all our administration’s Policies, Programmes and Projects. The committee are to look at the projects that the administration initiated and those it inherited and help prepare the administration for governance over the next 4 years. The President announced the establishment of the committee on his Twitter page on Tuesday. "The Committee is made up of senior government officials, including the Chief of Staff and Deputy Chief to the President (Secretary of the Committee), and a number of Cabinet Ministers. "They will work with Ministries, Departments and Agencies, as well as with outside experts. I am confident that the Committee will deliver a detailed Implementation Plan for the Next Level. "I also look forward to working with all stakeholders to deliver maximum benefit to Nigeria; and especially to working with the 9th National Assembly to improve the budget process," President Buhari said.